If we were to chart the timeline of our lives, how many notches would there be to mark the instances when we became angry? Sadly, too many to count or recall. In most cases, we are sorry or even ashamed because anger can make us do things that are uncharacteristic of our normal selves. Perhaps while stuck in traffic we said things we shouldn’t have. Or maybe while waiting in line at the DMV we lost our temper and treated others with an attitude. It’s no surprise that impatience can lead to anger; wrath’s opposing virtue is Patience. Wrath is different than the other vices in that it is not necessarily rooted in selfish desire. Wrath is more of a response to outward influences and circumstances. Both man and God express wrath, but there is a vast difference between the two. Wrath is an emotion characterized by feelings of intense anger and hatred. Wrath can be either just or unjust. Unjust wrath is destructive behavior, impatience, violence, and the things associated with them. Just wrath can be a response to a perceived wrong or injustice however in man this kind of wrath is rarely justified. What does the bible teach us about the wrath of man and the wrath of God? As mentioned before, we humans most commonly get angry as a response to some sort of perceived wrong or injustice. In the heat of the moment, our anger and frustration can cloud good judgement. Sometimes we feel our anger is justifiable, but our notions of justice and injustice are deeply flawed. Those who love Christ should always be slow to anger when wronged or treated unfairly (James 1:19-20). 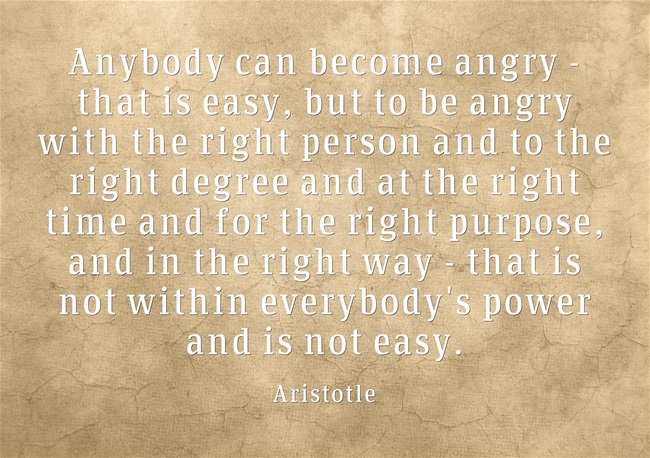 Considering this, it’s important to distinguish between getting angry and giving in to anger. “Be angry, and yet do not sin; do not let the sun go down on your anger” (Eph. 4:46). It is bad to get angry, but worse to give in. Anger is not always sin, but it can easily escalate into sin. If someone is discriminated against based on their race, gender, sexual preference, etc. they would probably get angry. But does this give them the right to start yelling and screaming, or going around complaining to all who will listen? Or even thinking ill thoughts or curses against the one who wronged us? Doing so has a negative influence on everyone involved, and worst of all, incites others to become angry as well. Unless we put aside feelings of anger, wrath, malice, and slander (Col. 3:8) we will only perpetuate the chaotic cycle. God’s wrath is against injustice, wickedness, sin, and evil. To summarize, God is just in pouring out His wrath on the human race because we have sinfully rejected His revelation of Himself and have worshiped the creature rather than the Creator. This is quite a description, but we must remember that the wrath of God is but one of his holy attributes. God is also loving, merciful, and righteous. We must also remember that the Son of Man bore the full wrath of God against sin on the cross and paid that price in full. Jesus died on the cross so that the faithful would not have to endure the wrath of God. What is the difference between just and unjust anger? The wrath of God is necessary and just because God is the embodiment of all righteousness, love, mercy, and grace. If God loves righteousness, he must also hate evil. If he were all love and no wrath, he would not be God because he would be unrighteous. But he is a righteous God who feels indignation every day (Psalm 7:11). Up until now we have briefly looked into the difference between the wrath of man and the wrath of God, as well as the difference between just and unjust wrath. While not all anger is sin, it is not right to hold on to anger for “just” reasons and certainly not for selfish, petty reasons. We know that at the end of days, the “just” anger we feel will be avenged so thoroughly and perfectly that every abuse, wrongdoing, and injustice that has ever been done, will be made right. As it is written, “He will wipe every tear from their eyes. There will be no more death or mourning or crying or pain, for the old order of things has passed away.” (Revelation 21:4) If we hear and understand the instruction in the Word, it is easier to let our anger go.